We are the earth moving experts! We currently import products from Italy, Spain, Canada, South Africa and China, but plan to expand our markets in the future. Earthmoving machinery operated in this market is relatively old due to the high cost of replacement, whereas our equipment offers a cost effective alternative to acquire new and modern machinery, minimizing downtime. 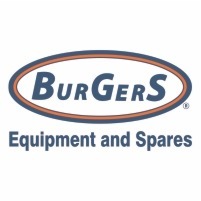 Thanks to the availability of stock, BurGerS Equipment & Spares is able to fulfil the anticipated demand without the usual delay in supply and along with this, we back up growing sales with the technical service team and the availability of parts, to ensure a high quality after sales service. We have five branches in Namibia – Okahandja, Otjiwarongo, Swakopmund, Walvisbay and Ondangwa, as well as branches in South Africa – Johannesburg, Polokwane, Cape Town and Kimberley/Douglas. We stock products from Liugong earthmoving equipment, Donaldson filters, various brands ground engaging tools (GET), Prolong, Cummins parts, Fleetguard filters, Dongfeng trucks, DFam tractors, good quality oils, and Black Cat Blades. Please note that not all brands are available at all branches. Tags: wheel loaders, excavators, bulldozers, motor graders, pavers, cold planers, skid steers, backhoe loaders, rollers, forklifts, truck mounted cranes, crawler cranes, pipe layers, mining dump trucks, dynamic compaction machines and concrete equipment, filters, filtration, components, oil, parts, engines, diffs, differential, transmission, gearboxes, pumps, tyres, belts.